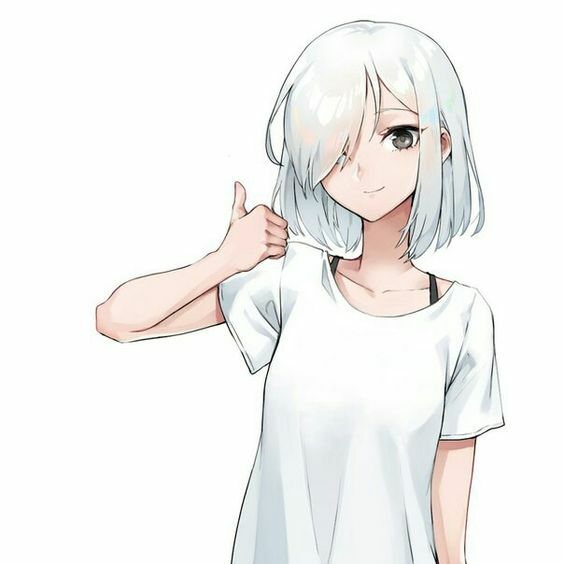 I hope you are all doing well! I’m actually super excited about this. Man I hope you guys enjoy it. Remember when I told you all I wanted to revive my series on new anime blogs in a slightly different format, well this is it! It’ a pilot, I’m probably going to need to tweek things along the way so if you have any suggestions please leave them in the comments. I would really appreciate it. So here’s the little explanation for those of you that haven’t had the chance to follow along. Basically, I love discovering new anime blogs and have met some great people that way but it’s not always easy to do. I also find that those first months, when it seems no one at all is reading your stuff, can be extremely discouraging and we lose some great bloggers that way. So in an effort to both find new blogs I can enjoy and encourage them a bit t keep going, I’ve decided to put together this monthly post where I can share my discoveries with you. These are blogs that haven’t gathered up a huge following yet but probably will soon and that I happen to discover this past month. I haven’t added in the blogs that stopped posting before the beginning of the month but maybe I will in the future, encourage people to come back. Hopefully you’ll find a blog you like and add a touch of entertainment to your life! So welcome one and all to the very first I Drink and Watch Anime and Discover New Anime Blogs post! With a title like that, what could possibly go wrong??? Extremely Online Bella leans a bit more towards game reviews and posts but peppers in some anime articles as well. Besides, it’s not like we don’t all like video games as well! The writing style is friendly and openly subjective, exactly what you need when you want an earnest opinion. There are a few very personal essays as well and I am very impressed by Bella’s guts to put these things out there! If you want to find gaming and anime content from a unique point of view, look no further. Guys….This blog is called The Kitten Who Eats Ramen. I feel like that should be more than enough justification to o follow it right now! But if for some conceivable reason you actually need more (crazy) The Kitten Who Eats Ramen offers this fantastic mix of anime, music, otome and even occasional essays on the joys and struggles of learning a new language. As you may have guessed from the title, Season 1 Episode 1 does specialize in season episode reviews an it is one busy blog! I wonder if Jessi will be able to keep it up! Aside from the episode reviews there are also personal essays and a promise of occasional game reviews. Jessi is obviously a fan of anime and you may have seen them around the community lately. This is the type of blog that can become a staple and cornerstone so I hope you go give it a read for yourselves! I first discovered Spectator Nerd Reviews while doing my weekly seasonal anime review round up post, so that should give you a clue as to the articles you can find there. But the I saw there recent review of Neon Genesis Evangelion (from the point of view of someone watching them now for the first time, which is really rare and interesting to read) and I realized that was more going on there. If you’ve been looking for a new aime blog to sink your teeth into, don’t miss out on Spectator Nerd Reviews. This is an interesting concept (to me at least), Ace reviews seems to be specialised entirely in first impression posts. You can find various authors’ instant reactions to most of the shows of the past few seasons, which is a great way to figure out if you want to pick up a series or not, without any risk of spoilers. I know a lot of bloggers do occasional first impressions, but this is the first time I’ve seen a blog dedicated to it. I like the concept! The Vault offers up thoughts on aime, movies, gaming or whatever else they feel like. As far as anime goes, the vault is highly specialized! Judging from the banner, we are dealing with an MHA fan but so far, posts seem dedicated to Jojo (no surprise), the Promise Neverland and W’z. It’s a very interesting mix. You can tell when someone is really dedicating their writing to things they want to talk about. And I know you guys love that sort of passion! Dez started their blog to reach out to the community and I think we should reach back. Besides, I really really want access to Dez’s manga collection. It’s nice see another manga blogger out there. I have been reading more lately and although you can read everything online, there’s something uniquely satisfying about having a paper copy. I went out on a tangent there, that because Sea with a K is full of all sorts of posts that will have you thinking and wandering! Also, it did not escape me that Dez’s logo is a martini. Just sayin. Speaking of busy bloggers, Another Otaku Day is written by Mr. Cat (wonderful handle) and Mr. Cat must not sleep. Boy does this blog pack a lot of content. Also they manage to do that thing I’ve been trying to master for over a year – write clear and precise reviews that give you all the information you need in a format that’s super fun to read. If you’ll excuse me, I need to go watch Lovely Complex right now. The Anime Alcove is the newest blog I discovered and possibly the youngest blog on this list. They seem to have started up at the beginning of this anime season and have so far not given up on the episode reviews! Good thing too because my round up post is shrinking with every passing week. Believe it or not, these are the review posts I set out to write. To the point and with a clear thesis. I should take lessons! There you have it. The very first batch of blogs discovered in 2019! It’s a strong start. I loved doing this and I’m really looking forward to February. I can share my new blogging valentines with you all!!! Thanks for sharing. I had found some of these but I’m going to check the rest out now. Found a few new blogs to follow. Thank you. Splendid idea—I can’t wait to meet new friends! Extremely Online Bella has a new follower thanks to you. Thanks for sharing. I look forward to next month’s post! Thanks for the shout out! I am more motivated than ever to keep posting. Thanks for continually sharing my posts and mentioning me here! I appreciate it a lot. Still getting the hang of this blogging thing. Yeah, it is fun finding new bloggers. It’s always something new and I think the 1 to 1 interaction with the blogger makes it more fun. Thank you so much!!! I’m glad you like my content! I’m also glad to see other aniblogs/game blogs!They seem pretty cool! Thanks! !